Ken McRae from Little Rock, Arkansas, sent this beautiful picture from the Delta Queen just after passing the Helena, Arkansas, Mississippi River bridge on the evening of November 1, 2008. Doesn’t she look like a brand new vessel in this wonderful evening sunlight? Hey, Congress, she’s not ready to go, don’t you see this? 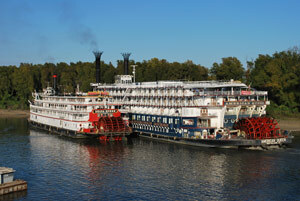 From Gaylon Reasons, Tennessee, come this great shot of the Delta Queen along side the American Queen at her port stop at Helena, Arkansas, on November 1, 2008. Ken and Gaylon, thanks very much for this gorgeous pictures and for sharing them with us! 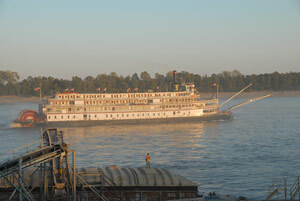 I hope so much these are not some of the last pictures of the Delta Queen in operation. 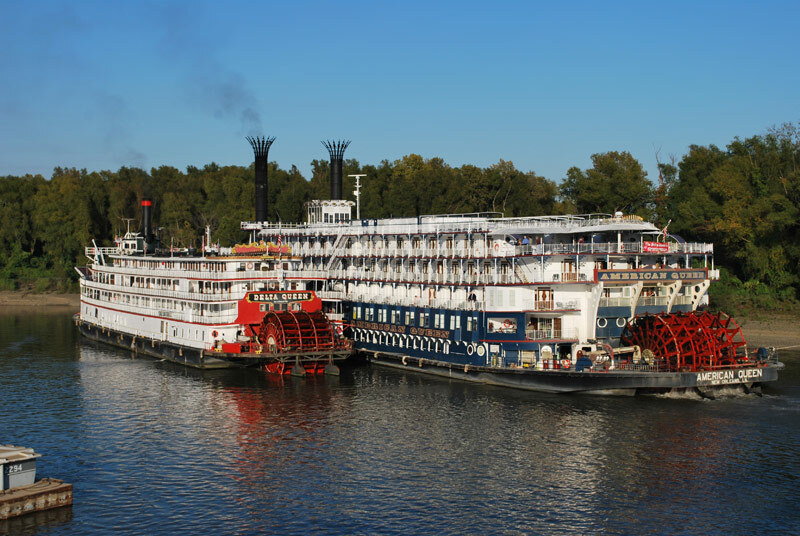 If only the Mississippi Queen were there w/ her sisters…puts their sizes into perspective…The AQ is enormous next to the DQ. i will be going to bentonville,arkansas in october and was wondering where you are from there? ?